Custom products designed for you. We believe in good products, good people, and great service. Family Owned and Operated since 2003 in Orlando, Florida. We're ready to help you take your business to the next level. We offer a myriad of services for you and your business to customize shirts and promotional products at any quantity. No job is too big or too small! We specialize in the latest printing technology that requires no minimums, set up fees, or color restrictions. DTG Is ideal for T-shirt designs that demand full-color, shadows or gradients, which include photographs and high-resolution images or logos containing a variety of different colors. 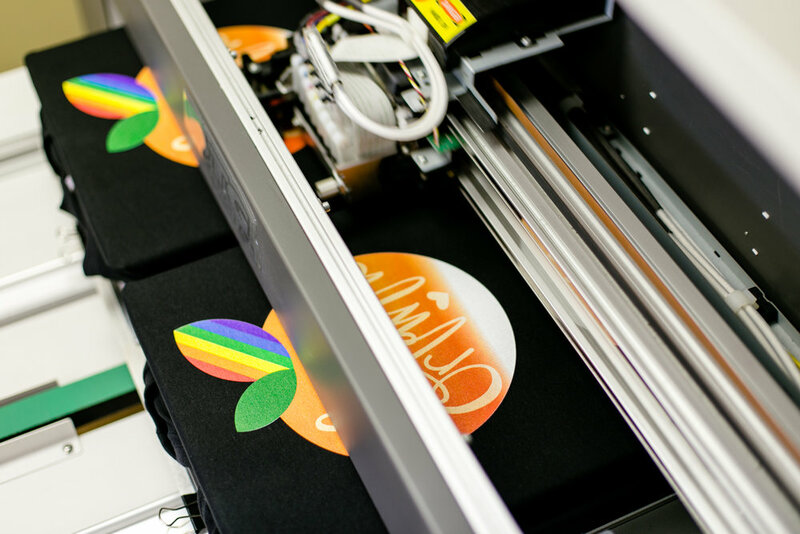 DTG printing is optimal for small orders, where screens would not be cost effective. We are one of the only printers in the Central Florida with a white ink system that can print on light or dark garments. If you need shirts for a charity event, promotion for your business, or team sports call us for help on finding the most cost effective and affordable option. Screen Printing is ideal for 12-12,000 + shirts. Quick turn around times are one of the many perks of screen printing. Need artwork? Not a problem! We offer Graphic design and artwork support as just one of the many ways we can help you make your t-shirt vision a reality. Custom stitching for polos, caps, bags, towels, uniforms, bags, pillows, or any product you might need. We offer the highest quality equipment and expertise on every single stitch. Leave a lasting impressions for your customers with a customized promotional product from your business. We are members of the Advertising Specialities Industry with access to thousands of wholesale items to fit your budget. Between the intersection of Colonial Drive and Mills lives an abundance of arts and culture burgeoning in Orlando. We are thrilled to be apart of this neighborhood. Stop by and see us anytime Monday-Friday 9a-5pm!